Penarth Heights is a stunning development encompassing style and luxury. 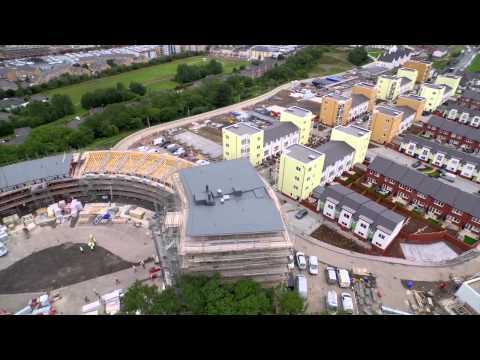 The final phase of 3 and 4 bedroom houses overlooking Cardiff Bay are now released for sale. Looking over Cardiff Bay, these new homes in Penarth are a new focal point for the region. Located in a seaside town that has been popular since Victorian times, the area is full of charm and character. Penarth has shops, a pleasure pier, one of the region’s top country parks and so much more besides. The capital’s sporting events, shops, bars, restaurants and more are also just a few minutes away, via water bus. Or if you’re feeling active, a short cycle or walk. 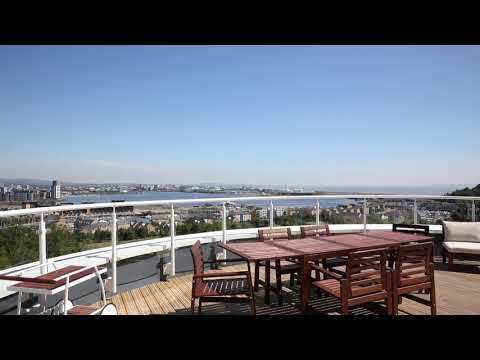 Step inside your dream home at Penarth Heights and soak in the breathtaking views over Penarth Marina and Cardiff Bay. With just a handful of four-bedroom houses remaining, now is the perfect time to reserve your forever home in time for summer. Charlotte Williams and her partner Rhys Jones have recently joined the Penarth Heights community, moving to their new home at the popular development. Moving to the area from Llandaff and Newport, the couple were drawn to the convenience and stunning views that life at Penarth Heights offers. Do you dream of drinking cocktails on your own private terrace looking out to sea? Enjoy unrivalled views of Penarth Marina and Cardiff Bay from the comfort of your own rooftop terrace with a home at Crest Nicholson’s Penarth Heights. Recently shortlisted at the Housebuilder Awards 2017, this final phase of contemporary homes is ideally located just a short distance from Penarth’s thriving town centre. Enjoy the summer sun and unrivalled views of Penarth Marina and Cardiff Bay from the comfort of your own home at Crest Nicholson’s Penarth Heights. Now in its final phase, Penarth Heights offers a unique range of contemporary homes, ideally located just a short distance from Penarth town centre. Award winning housebuilder Crest Nicholson has unveiled a stunning new view home at its Penarth Heights development, a short walk from the town centre. This elegant four-bedroom home is part of Crest Nicholson’s premier collection and is ideal for those seeking a luxury new build home in Cardiff. We are working to ensure that where possible we ethically source the raw materials we use to construct each home and that all our timber comes from sustainable sources. A new home helps to reduce what you’ll need to spend on utility bills. In a Crest Nicholson home we've incorporated money saving features such as 100% low energy lighting and use A-rated appliances which do all the hard work for you. All our homes are fitted with A rated condensor boilers.